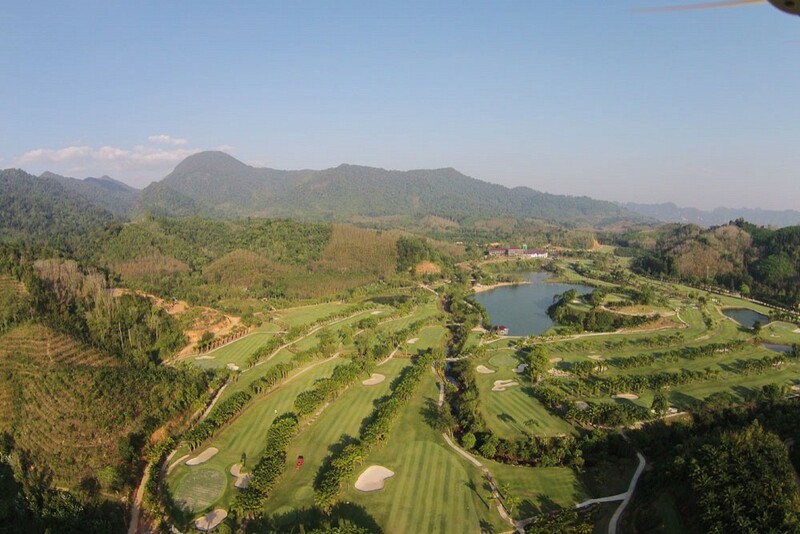 Katathong Golf Resort & Spa features an 18-hole regulation course that is as difficult as any in Thailand. The remote site location is in a valley in Phang Nga Province in the south of Thailand. 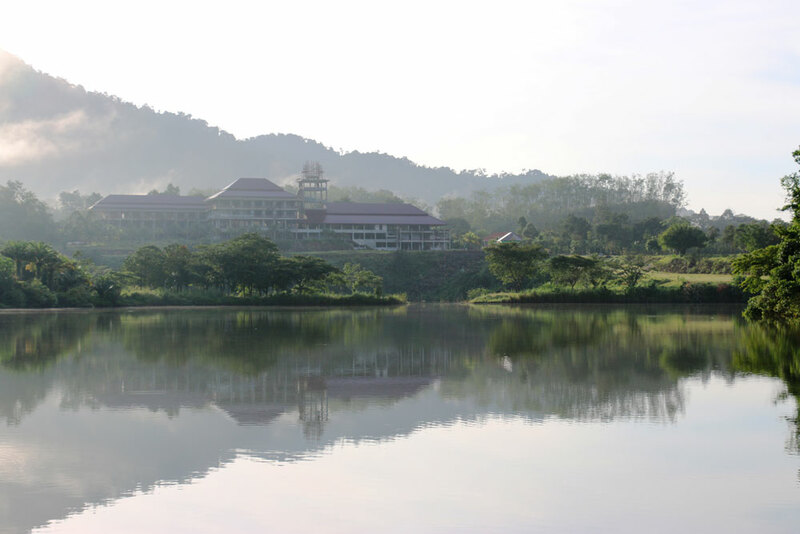 It takes around 1 hour to reach by car from Phuket. 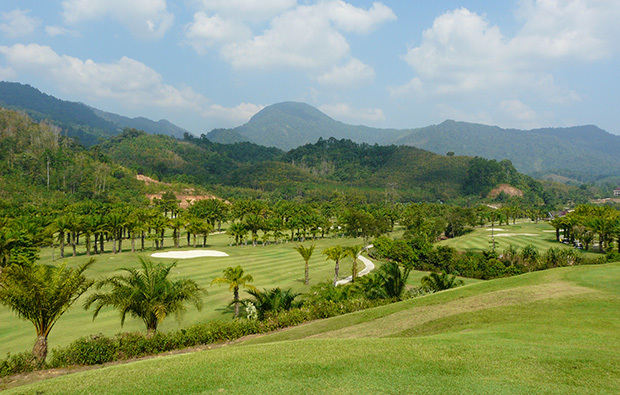 As with many of the Phuket golf courses, Katathong developed as a time mine in the 15th century. However, the site abandoned in the 1900’s when the global demand for tin dropped and other more commercially viable deposits discovered. 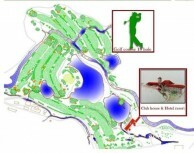 Fortunately the site was left vacant and the open cast mines left to be rediscovered as an ideal golf course location. In fact, there are some authentic mining equipment leftover from the former tin mine littering many of the fairways. 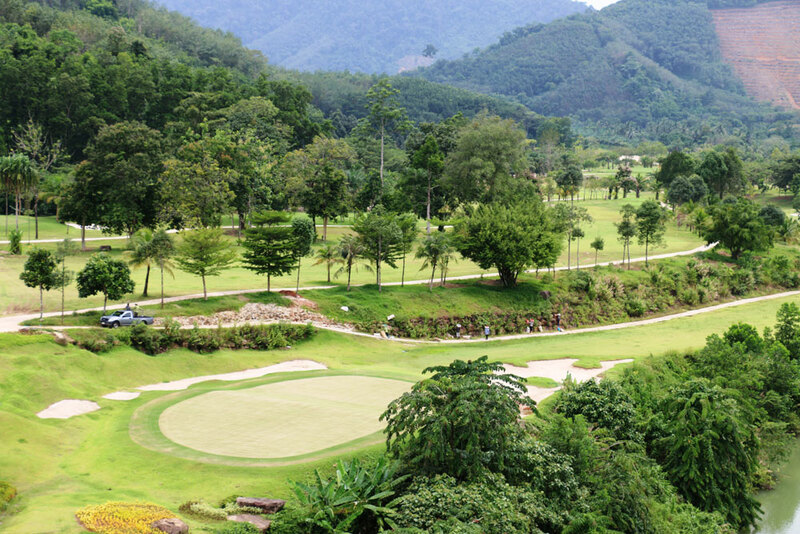 Katathong golf course offers mountain views from every part of the course. 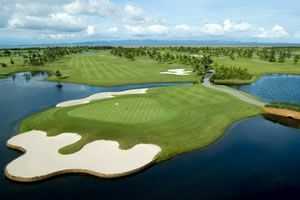 Most holes follow the natural contours of the land and feature undulating hills through natural waterfalls and streams. Fairways are not long, but are very narrow and reward straight shots over distance. The par-3’s holes are all up-and-down and offer significant elevation changes. Greens are for the most part flat with subtle breaks. Some have multiple tiers. 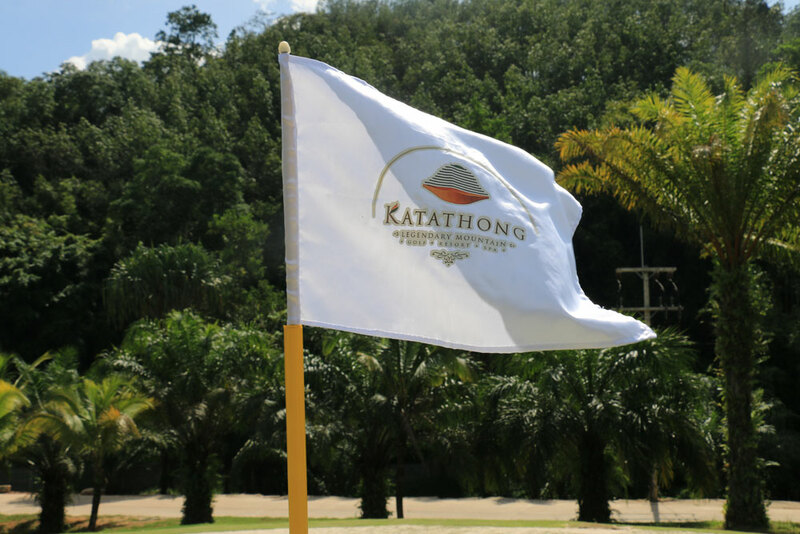 The Katathong best and most difficult holes include the par-5 fourth. This longish hole plays with hazards on both sides of the fairway. Hit right and balls go down the ravine. Left is not much better with trees and bunkers. 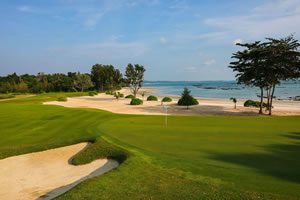 The approach shot is even more difficult as an accurate long iron or hybrid is needed to avoid the blind bunker complex surrounding the green. 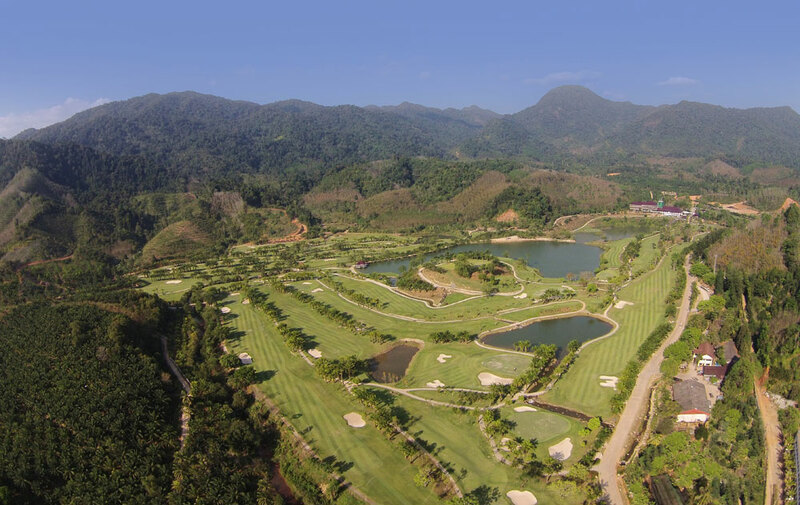 The Katathong signature hole is the par-3 tenth. At 215 yards and from an elevated tee to a small island green this hole is as tricky as they come. 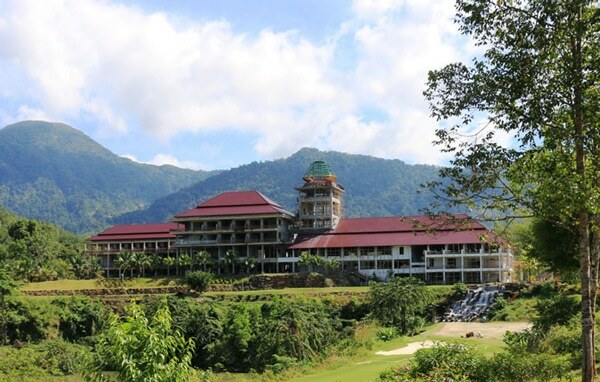 Anything offline is sure to end up with a lost ball and double bogey, if not more. 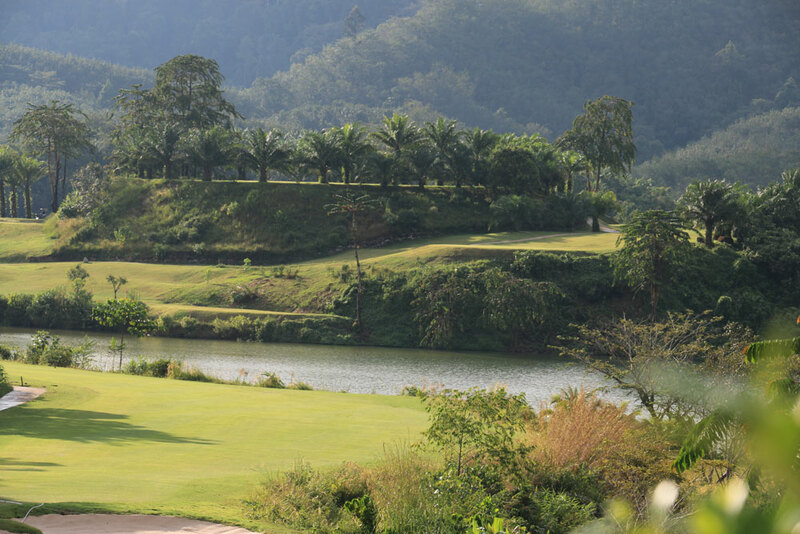 The 16th is probably the most scenic hole on the Katathong course. A tee shot across one of the old open cast tin mines makes for an excellent photo opportunity. 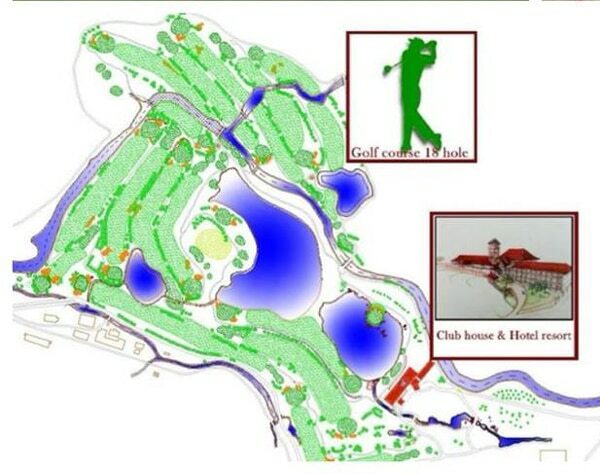 Make sure to catch it flush as most balls do not carry the ditch that separates the tees from the fairway. 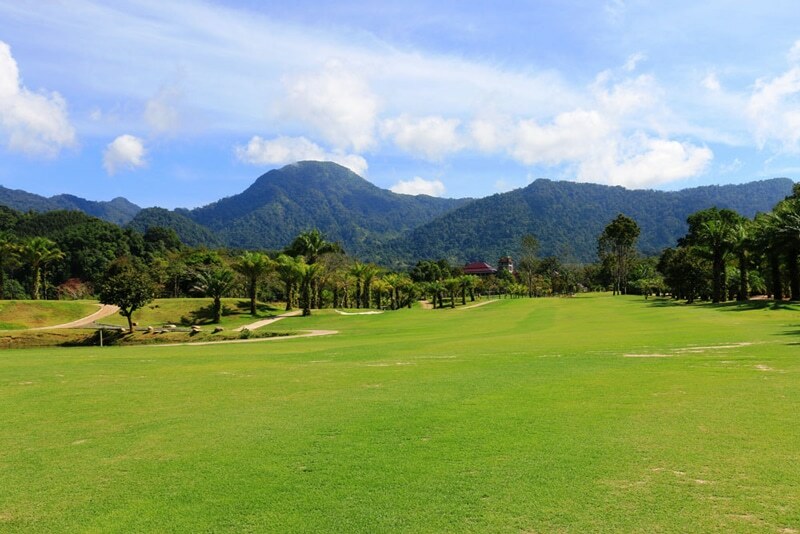 Once on the fairway, the shot into the green is just as severe as the green is elevated and only a small portion of the tiered putting surface is visible. 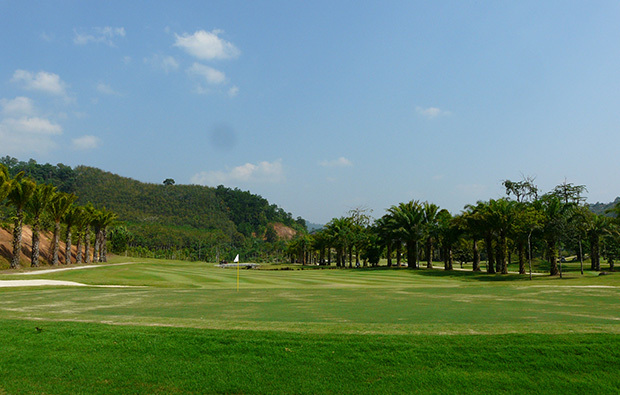 Facilities at Katathong include putting and chipping areas for practice. 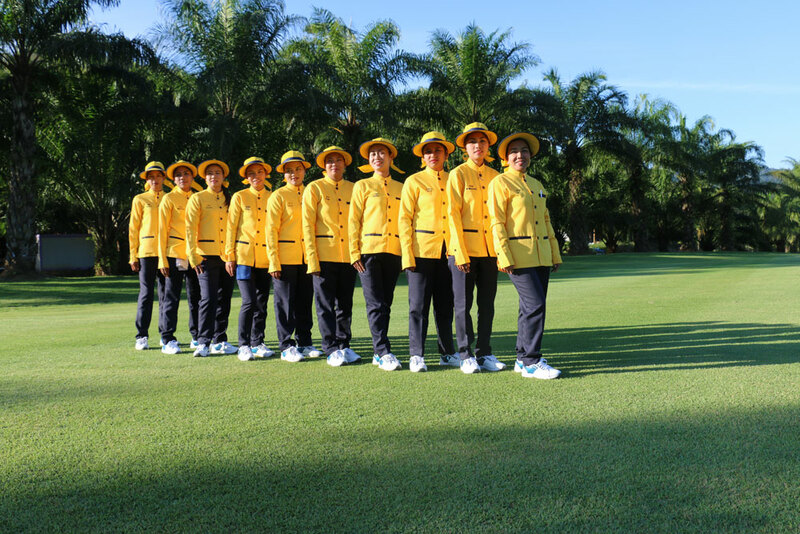 The course is walkable, but due to the hot, humid year-round weather carts are compulsory. 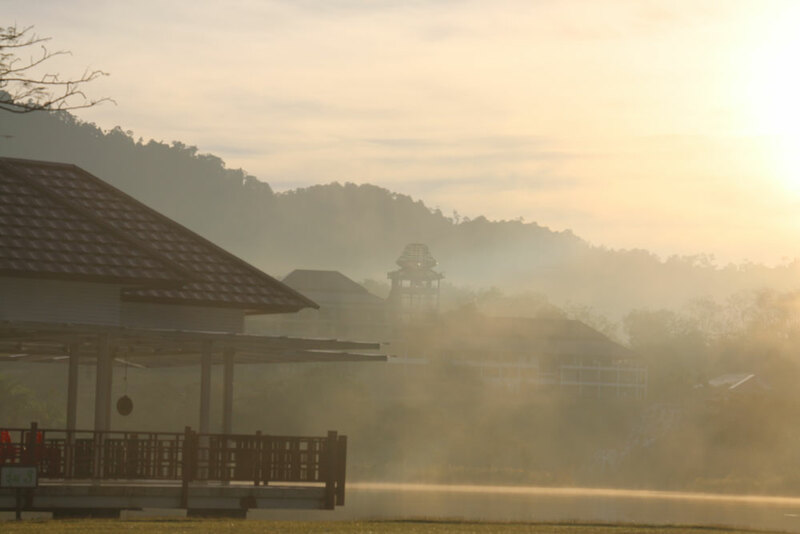 The large clubhouse is designed in local Sino-Portuguese architectural style and decorated with memorabilia from the mining era. 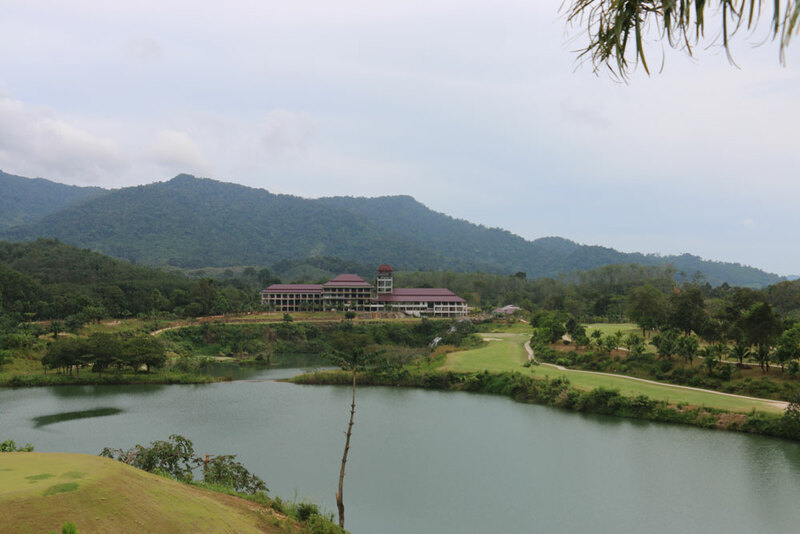 Service is adequate, and the only choice in the area for a meal after golf is onsite. 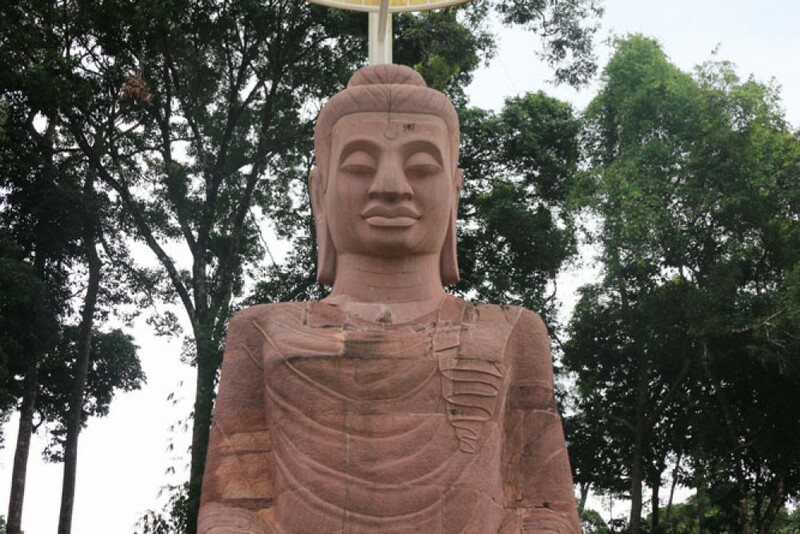 Plans call for a resort and meditation center at Katathong centered around a massive red sandstone sitting Buddha. 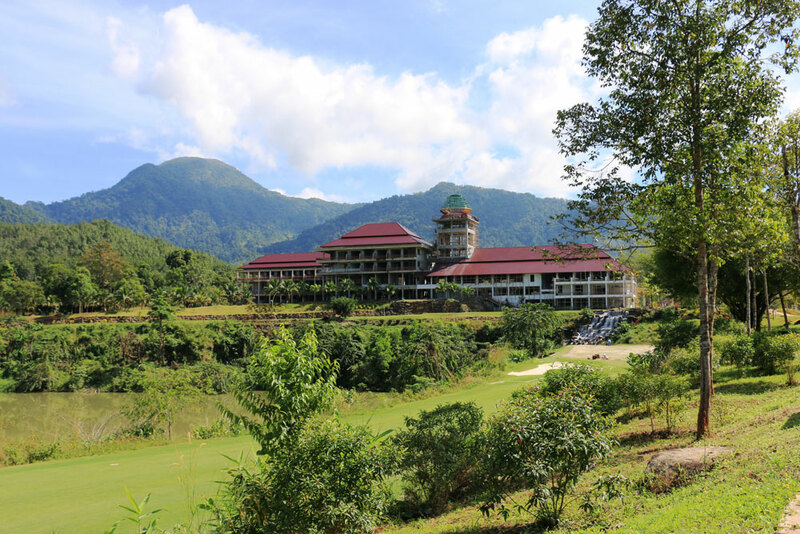 This is a great photo opportunity for all visiting golfers and is sure to make fellow golfers back home very jealous of a great day golfing in Thailand. 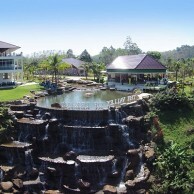 Katathong Golf Resort is ideally suited for those staying in nearby Khao Lak, Krabi, or Phang Nha areas. 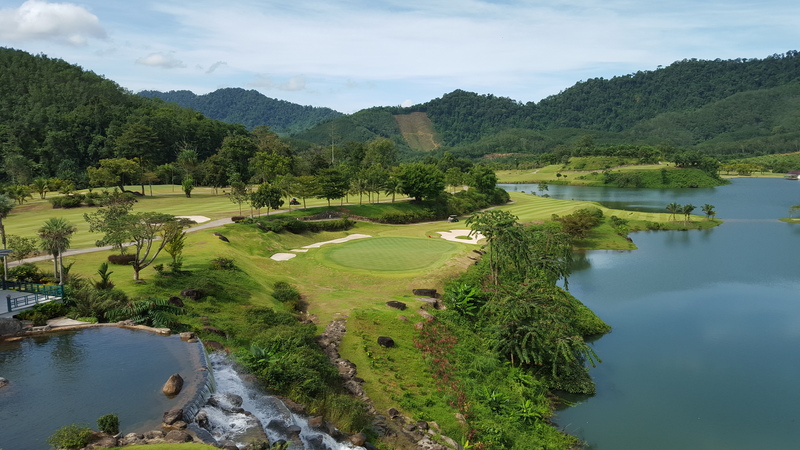 From Phuket, it is a bit of a drive and is best for those golfers looking for some beautiful photos and change from the usual Phuket course line-up. 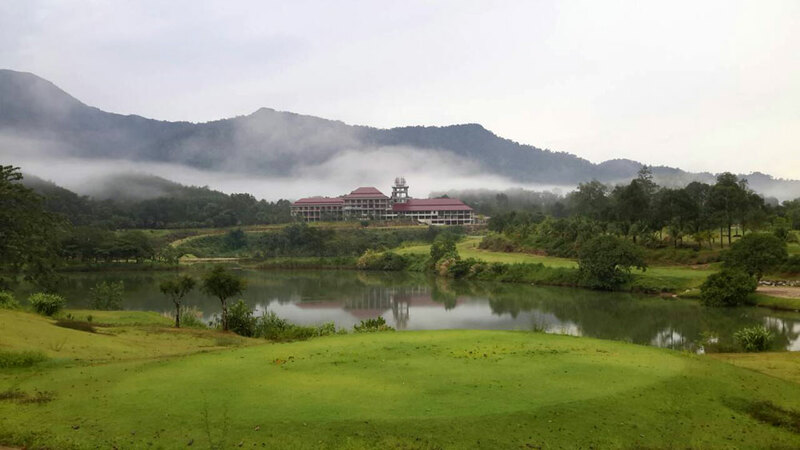 Have you played golf at the Katathong Golf Resort & Spa and took some nice photos that you would like to share with other golfers? Send them to us and we may upload them here. Thank you in advance!